Hours for the course are from 7-9pm, with one exception. There will be one night when the session will begin at 5:50pm. This night is set aside for the student to shoot in our rifle range to practice proper shooting techniques. The date for the shooting session will be assigned the first night of class so please plan to attend accordingly. If you know in advance you cannot make at least 5 of the 6 sessions, do not sign up for Hunters Education at this time. To reserve a seat in the class, you must do so online through the Wisconsin DNR website. Registration for the class, payment of fees ($10 per student), and distribution of the class packet will take place at Brigade. You must register in person and pay the fee to secure your seat in the class. The hunter education course instills in students the knowledge and skill to be a responsible and safe hunter. Students learn how hunting accidents are caused and how they can be prevented. Hunter responsibility and safety are stressed throughout the classes, which consist of lectures, demonstrations, group discussions, practical exercises, and individual study and activity assignments. If you have any questions please call the Brigade office at 920-725-3983. 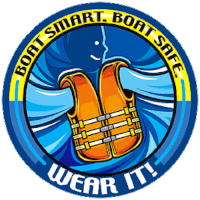 Anyone born on or after January 1, 1989, is required to complete a boating safety course to legally operate a motorized boat or personal watercraft on Wisconsin waters. Coast Guard Auxiliary recommends all boat operators complete a safety course. ATV and UTV operators born on or after Jan. 1, 1988 who are at least 12 years old for ATV (and at least 16 years old for UTV) must complete an ATV and UTV safety certification course in order to operate on public ATV/UTV trails and areas in Wisconsin. DNR recreational safety specialists recommend all ATV and UTV operators complete a safety course. Click the green "Get Started" button. You will either need to login or create an account for the student who is taking the class. On your homepage, click "Enroll" under the Safety Education section on the right hand side. Search for the appropriate Course Type and Winnebago for county. Click the button on the far right column under Actions, and you are signed up! To verify your registration or to cancel it, go back to your homepage by clicking Home in the upper left corner. Then click Student Dashboard under the Safety Education section.